A 1-vs-1 spellcasting Oculus Touch-enabled arena shooter game for the Rift. The game uses the Oculus Touch controllers to conjure spells that manipulate the environment. 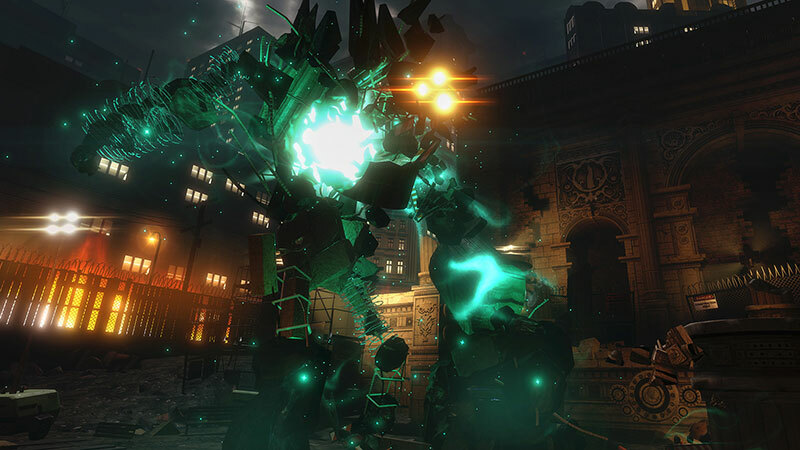 The duel fight takes place in enchanted urban arenas loaded with destructible objects. It boasts gorgeous vivid particle effects that make you feel like a very powerful wizard. It's like an urban fight club, but for magicians. Coming November 2016. The Unspoken is a PVP (Player-vs-Player) spellcasting virtual reality game developed by Insomniac Games and Oculus Studios. Insomniac Games studio is well known for its Ratchet & Clank platformer, which was published by Sony Interactive Entertainment. It seems that Insomniac is betting on Virtual Reality, and we can see this when the Studio announced two new games for Oculus Rift: Feral Rites and the game we are reviewing here called The Unspoken. I have mixed feeling about the game. I was super excited super about it because I love competitive multiplayer games, and two wizards conjuring powerful spells against each other really seems like an amazing idea, especially when playing on VR using the motion controllers. On the other hand, I felt a bit sorry for those who are really excited about the game, but won't be able to play it because they either already bought the HTC Vive or just can't afford to buy the Oculus Rift. OK, now for the game. So in The Unspoken, you play as a powerful spellcaster. You fight against another wizard (a real player) in a concealed urban arenas. The magic fight is controlled by an order so ancient and powerful that its name remains unspoken. The game is a pure PVP game, where each player strives to rank up and unlock and master more spells. There are more than 25 spells for you to master, and multiple arenas to conquer. In the trailer (see the video below), we can see the wizard drawing a shape of a shield which conjures and impenetrable shield. 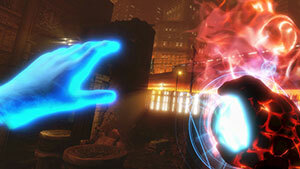 The game uses the Oculus touch controllers to control the wizards hands in the virtual world. 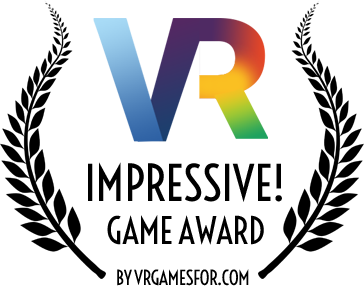 The game also uses the cameras to track your hand and head movement, so your physical movement is accurately represented within the 3D space. This allows the gamer to feel more immersed and have a better sense of presence within the virtual space. No doubt that this is one of the best types of games to show off the importance of the Oculus Touch in enhancing the gameplay experience for virtual reality games. This is not the first game that comes out with the idea of mimicking a wizard casting spells using the touch controllers. Spellbound by the developer Eric Nevala is a wizard simulator Spellbound VR game that also uses 'Leap Motion' controller and the Oculus Rift to allow your actual hands perform spell-casting in the first-person perspective. That being said, The Unspoken takes this virtual reality spellcasting experience into the multiplayer genre, and this is where things are getting much more intensive and competitive. Players need to pay a great deal of attention to how they cast the spell because casting spells are created by using different drawing gestures. It's not like you are going to press a button to cast a spell, it's more complicated than that. There is a magic marker that shows you the shape you are drawing. Some spells can cancel other spells and according to the developer, each spell has a counter spell and some spells even will reflect the spell back to its caster. Before each match, each player will have time to choose his character class and spell loadout. The battle itself feels like a first-person shooter in some way, but it requires the players to memorize the spells and because there are many spells, you need to pay attention to what spell your enemy casts in order to counteract his spell or find a way to avoid being hit. For example, if the other wizard is casting a fireball, you probably want to cast that shield to protect yourself and prepare to cast a fireball right after. Although casting a spell isn't like aiming and pushing the trigger to shoot bullets and some spells do take a bit longer to cast, it still feels like a fast-paced shooter, but it does has its learning curve and that's the beauty of it. Visually the game looks really good, at least when judging it from 'The Unspoken' game trailer and screenshots. It's a really innovative and unique title that I'm sure will please any gamer who enjoy playing competitive multiplayer games. If you ever want to know how it feels to be like Harry Potter, this game is probably going to deliver that experience. This is one of the Oculus Rift games that I really look forward the most. Coming to Oculus Rift in November 2016.